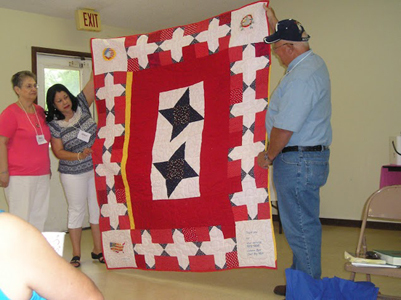 The MOWA band of Choctaw Indians held a quilting workshop on April 30. The event recognized exemplary quilters as part of the “Common Threads” series on quilting in Alabama sponsored by the Alabama Folklife Association. “Common Threads” honors Alabama’s quilting tradition through a series of workshops, arts-based development, and education in the traditional arts. 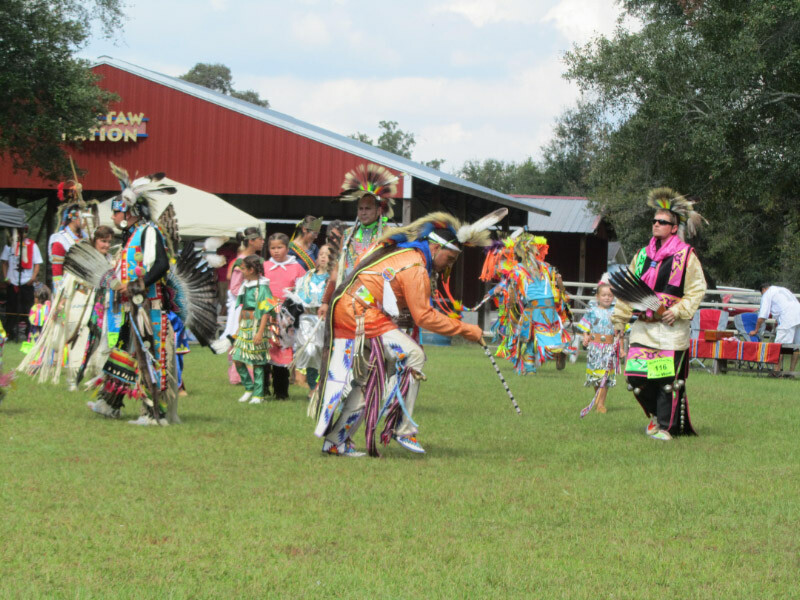 Jackie Matte, author of They Say the Wind is Red: The Alabama Choctaw — Lost in Their Own Land, spoke to tribal members about their rich history in handcrafts. 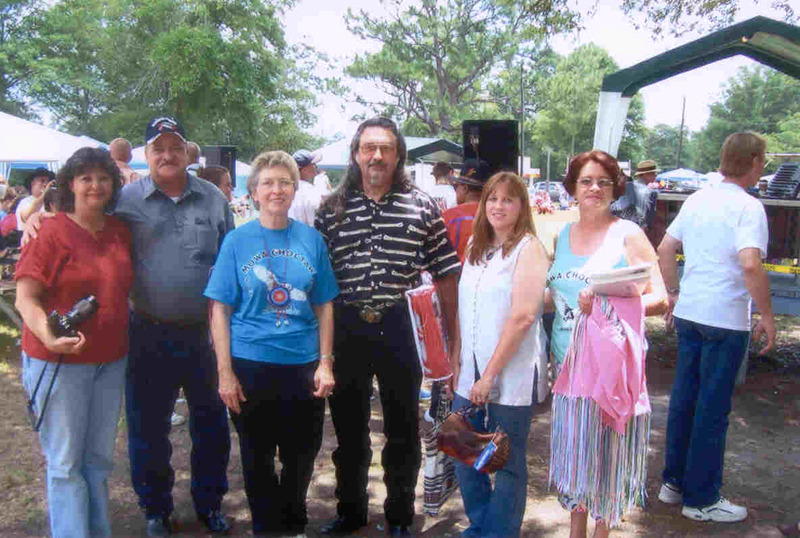 In the photo featured see Elois Taylor presenting a quilt to Polly Rivers and Chief Lebaron Byrd. 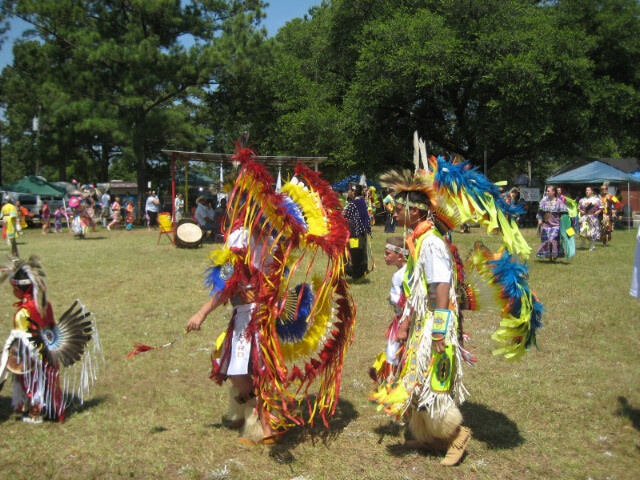 The MOWA band of Choctaw refused to relocate during the forced removal of Native Americans known as the “trail of tears.” They Say the Wind is Red tells their story of the tribe’s resistance and history of pride, endurance, and persistence in the face of abhorrent conditions imposed on them by the US government. Fortunately for the state of Alabama, the tribe has endured and can now share with everyone the crafting traditions they have maintained through the years. They Say the Wind is Red is available from NewSouth Books or your favorite bookstore. 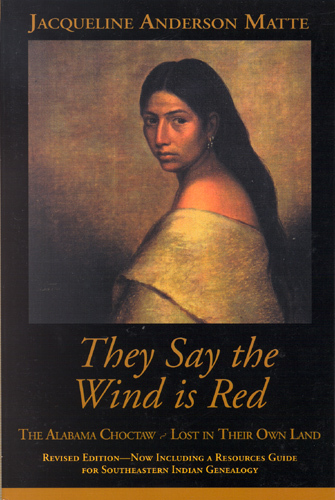 Jacqueline Matte’s book They Say the Wind Is Red, after multiple printings, remains the definitive history of the Southwest Alabama Choctaw Indians, who managed to stay behind when their tribe was relocated in the 1830s. For the next 200 years, they resisted the efforts of unscrupulous government agents who tried to steal their land and resources, and always maintained their Indian communities even when government census takers listed them as black or mulatto. A moving saga, They Say the Wind Is Red chronicles a history of pride, endurance, and persistence, in the face of the abhorrent conditions imposed upon the Choctaw by the U.S. government. For more information on a program with Jacqueline Matte for your school or organization, contact NewSouth Books at 334-834-3556. On May 26, 2014, NewSouth Books lost a longtime friend and beloved author, Virginia Pounds Brown. Although we will miss her in our books family, we will always remember her as a woman who was lively and engaged into her nineties and a very fine writer. Brown was a Birmingham native, a writer as well as a publisher and a bookstore owner, and a well known and respected authority on Native American, especially Creek Indian, history. 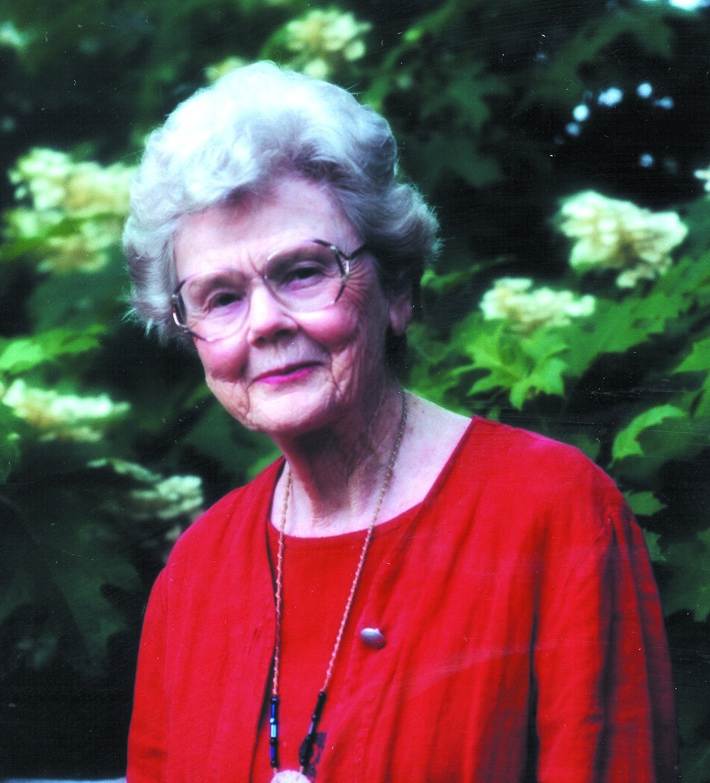 Brown’s obituary in The Birmingham News quotes her: “My writing career started when a German scientist working in Huntsville, walked into the bookstore looking for an ‘easy reading’ book about Alabama for relatives in Germany. We didn’t have such a book, but out of that request came Alabama Mounds to Missiles, an answer to his need. The success of the book turned a budding interest into the pursuit of discovering and writing about previously ignored or unknown facets of Alabama and southern history � mostly blacks, Indians, women.” Her desire to tell the untold stories of those who had been ignored realized itself in her many historical books. NewSouth Books’s titles authored by Brown include The Gold Disc of Coosa (2004), a fictional account for middle-school aged children of the meeting between De Soto and the Alabama Indians, and two classics of Native American history:The World of Southern Indians: Tribes, Leaders, and Customs from Prehistoric Times to the Present (2011) and its companion title, the more recent Southern Indian Myths and Legends (Spring 2014). NewSouth also published Brown’s Mother & Me: An Intimate Memoir of Her Last Years (2003). NewSouth Books will publish a fifth work by Brown, posthumously, which is co-authored by Linda McNair Cohen. Drawing By Stealth: John Trumbull and the Creek Indians will be released as an ebook in fall 2014. The book is a historical account of John Trumbull, an American artist during the period of the Revolutionary War and painter of two portraits of George Washington, and his encounter and subsequent drawings of the Creek Indians who fascinated him, just like they did Brown. NewSouth looks forward to publishing Drawing By Stealth in celebration of Virginia Pounds Brown’s lifetime of good work, passion for books, and our long friendship with her. The works of Virginia Pounds Brown are available from NewSouth Books, Amazon, or your favorite bookstore. 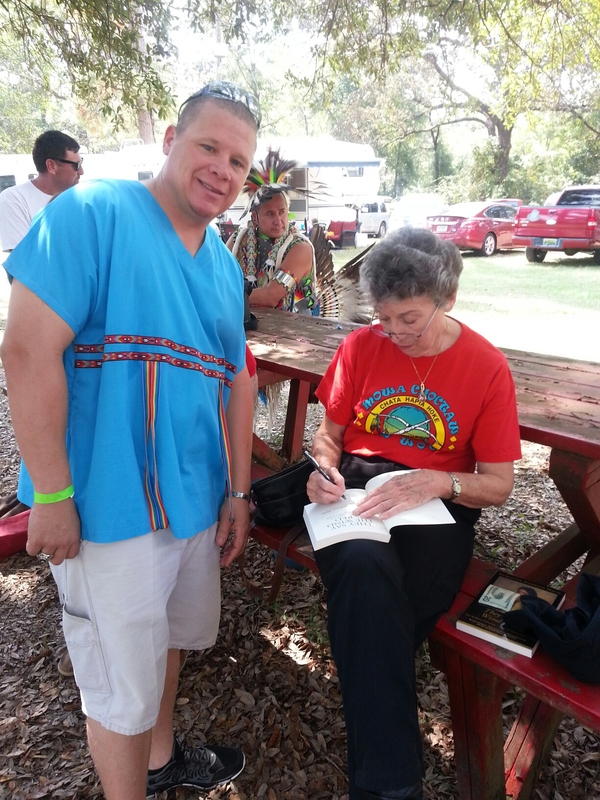 NewSouth Books would like to congratulate Virginia Pounds Brown, author of The World of the Southern Indians: Tribes, Leaders, and Customs from Prehistoric Times to the Present, on winning the Alabama Historical Association’s Virginia Van Der Veer Hamilton Award for contributions to Alabama history. The Virginia Van Der Veer Hamilton Award is given every other year to a distinguished professional whose work encourages “joint historical endeavors and mutual understanding among nonprofessional and professional historians.” Past winners of the award include Ed Bridges, Hardy Jackson and Leah Rawls Atkins. Brown is former librarian, bookstore owner, and publisher who began writing to fill gaps in the available history of her native Alabama and the surrounding region. NewSouth republished her classic, accessible guide to Southern Native American tribes, The World of the Southern Indians, earlier this year, and will soon re-release the companion volume, Southern Indian Myths and Legends. NewSouth also published her autobiographical Mother & Me: An Intimate Memoir of Her Last Years, and the young adult novel The Gold Disc of Coosa: A Boy of the Mound Builders Meets DeSoto. It is especially fitting that Brown should win an award named for historian Virginia Hamilton, since NewSouth recently also published Hamilton’s memoir Teddy’s Child: Growing Up in the Anxious Southern Gentry Between the Great Wars. Hamilton became the second woman to earn a PhD from the University of Alabama Department of History and has written numerous award-winning books. 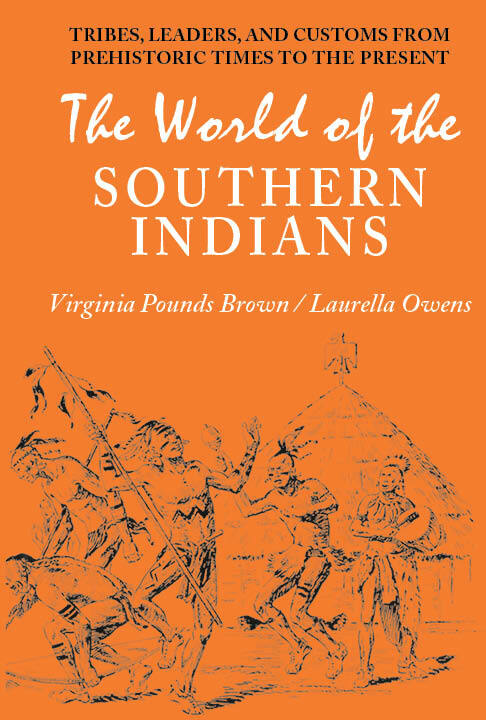 The World of the Southern Indians: Tribes, Leaders, and Customs from Prehistoric Times to the Present, by Virginia Pounds Brown, is available from NewSouth Books, Amazon, or your favorite local or online book retailer. 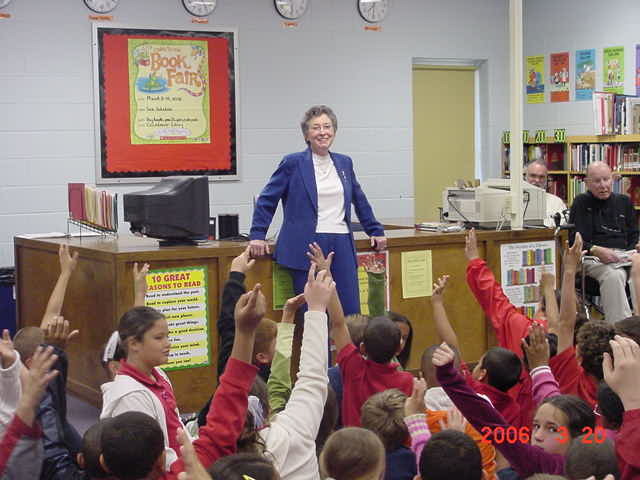 I was invited by Calcedeaver’s librarian to speak to the students during the school’s “Meet an Author” program. 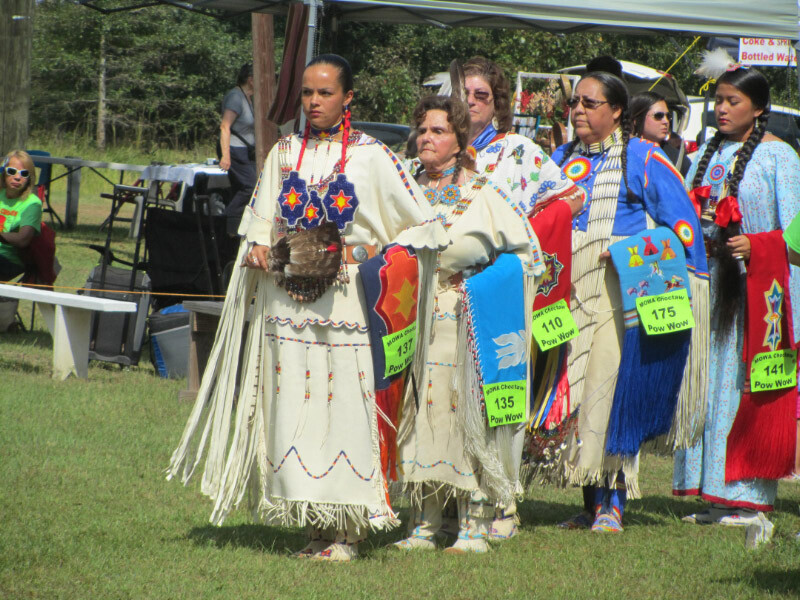 I talked with them about my book (their history) They Say the Wind is Red: The Alabama Choctaws Lost in Their Own Land. At the end of my talk, we had a question-and-answer session. It was wonderful and inspiring. I do not understand why The News did not identify the “poor Native American” students, but perhaps it has to do with politics. Nonetheless, they deserve the positive publicity. Read the full article at the��Birmingham News. They Say the Wind is Red is available directly from NewSouth Books, Amazon.com, or your favorite local or online book retailer. You are currently browsing the archives for the Native American category.